Bernhard Klein of IMMOFINANZ in this guest post looks at how working environments are changing and how cities are competing with each other to attract the increasingly mobile talent. It is evident in western metropolitan areas, as well as in the growing emerging market economies: A dramatic shift in the working environment in cities is under way. And it has the potential to bring about severe disruptive changes. This means new spatial concepts, new architecture in urban planning, new forms of working together and above all new changes in communications. The largest shift may, however, be psychological: The entire philosophy of working people is being turned on its head. While in the past many people defined themselves through their work, today the desire for freedom, autonomy and purpose is becoming an ever-greater source of motivation for commitment to work. And this doesn’t by any means only apply to large companies with thousands of employees. Young, innovative enterprises which like to locate themselves in urban areas – startups being a prime example – are discovering the advantages of exchanging information and networking. The teams in these businesses “tick” in a very different way, requiring a new, more flexible and creative environment, new office buildings and new leased premises and communal areas, so that they can share ideas, informally exchange views and obtain feedback, as well as fine-tune their business models, concepts and services. The traditional hierarchies, models and concepts still exist, but their future is on the cards. The futurist Winston Brill showed that of 350 successful innovations, only 2% originated from formal meetings. 98% of all innovations emerge from interpersonal exchanges of ideas, away from meetings and other formal situations – during sporting activities, after-work conversations in cafés, or walking through the neighbourhood. Furthermore, there is a correlation between communication and physical proximity. The critical threshold is 30 metres. If the distance is greater, personal interaction ceases. In enclosed spaces, this means no common usage of coffee areas or copy machines. The informal interpersonal exchange of ideas and information decreases rapidly (Thomas J. Allen, MIT). All of these factors are summarised in a nutshell by the term “New Work”. The term arose from the rapid development of all of these needs, and addresses questions about new approaches to teamwork, to interior design, architecture, spatial planning and how work is organised in urban hotspots. One focus of New Work is on forging connections between people, bringing them into contact with one another and generating collaboration – but on a self-organised rather than a formal basis and with no pre-defined structure. New Work also means utilising and pooling the intelligence of individual team members, in order to draw upon knowledge gained within various contexts and value chains. Google, with its Googleplex in Silicon Valley, is probably the best-known example for this new way of working. Employees have games rooms, swimming pools, more than 18 cafeterias and a wide variety of sporting activities at their disposal, along with a defined amount of time each week to work on projects they have decided upon themselves and develop new ideas. Or simply to take a walk in the green space on the campus and clear their heads to make way for new ideas. It’s no coincidence that today Google is one of the most popular employers in the world, despite the fact that the company’s startup days are far behind it and it’s now an established global market leader in the new economy. Generation Y, born between 1980 and 1995, is the driving force behind this new world of work. Within the space of just one generation, media usage and communication patterns have changed radically. This generation has a new culture – one of sharing knowledge and personal fulfilment. Leisure time or a long sabbatical are equally as important as meaningful work that is preferably undertaken in personally selected working hours and locations. Possessions, in the form of cars or apartments, have very much taken a back seat. Independence is the order of the day. We are witnesses to a spectacular shift in the values of an entire generation with respect to their professional development and their attitude towards careers, as well as to life overall. Generation Y is rewriting (and has already made considerable progress in doing so) the rules for recruiting, talent management, career planning, personal and management development. Traditional and common concepts such as security, order, prosperity and status are being replaced by individual needs such as self-fulfilment, creativity and sustainability – and while these are already well-known expressions, they are now taking on a new meaning. This is presenting a challenge to many established companies, which are unable to offer this generation an attractive working environment and consequently need to develop appropriate strategies to attract, motivate and retain potential employees. The level of loyalty towards these companies is much lower than was the case for previous generations. Offers involving prestige factors such as a company car or own office are generally meaningless, and a company mobile phone or similar device is viewed as a matter of course. Hierarchical structures, titles and positions are by and large of no importance to Generation Y. One goes from one city to the next. There are no possessions, such as a car or owned apartment, to restrict movement or flexibility. The next AirBnB apartment in the next city is only a click away, and contact with friends is maintained over social media. Companies will in the future have to address the needs of their employees in terms of sense of purpose, autonomy and flexibility in their work. And cities will need to support companies in finding these free-thinking job seekers. Culture eats strategy. As a result, this becomes a significant factor in determining the success or failure of companies. And cities will have to increasingly focus on the question of how they can attract and retain the global nomads which make up the creative community. This may be through cultural offerings, liberal and cosmopolitan local politics, or a proactive business location policy which paves the way for creative hubs. And, also through a wide range of other aspects associated with “smart cities“, or through intelligent and attractive design of public spaces, through subsidy policies or specific business districts. The demographic shift is causing a huge acceleration of this phenomenon. The working population in industrialised countries will decrease significantly by 2030. The average age of the total population and of the working population will increase. The maximum potential work force available to a company will shrink by 30%. 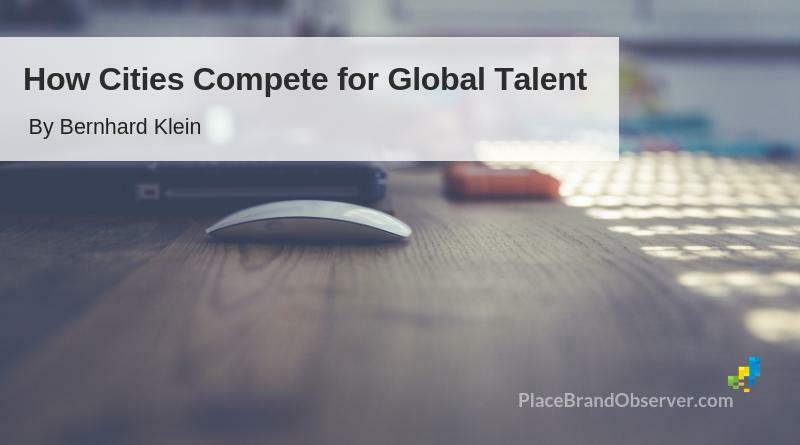 At the same time, demand from companies for highly-qualified employees – which are becoming a resource for which there is fierce competition – is increasing. Only those cities with a strong focus on the area of “New Work” will have a prosperous future. And that is a collective challenge. For the communications transition from letters to universal telephone lines, we had almost a hundred years to develop viable and recognised standards, while for email and mobile telephones just over a decade has gone by. That’s without even beginning to talk about social media communications, swarm intelligence or disruptive platform economies, which are further increasing the pace in global cities. Worldwide, there are 55,000 Google search queries, more than 2,200 Skype calls and over 7,000 Twitter tweets – per second! The digital office may be daunting to many people, but for Generation Y it is a matter of course. This makes it all the more important to transform designated areas within cities into places of “productive comfort”, offering opportunities for interaction and where employees can work according to their convictions. At a time in which the formerly firm distinction between professional and private life is becoming ever more blurred, the term “work-life balance” seems antiquated. Life-balance has to be intrinsically integrated into overall professional life – work is part of a successful life and not an incompatible contrast to “real life” taking place in leisure time. Today, new generation city authorities recognise that good networking often plays a significant, albeit difficult to see, role in determining success. For their enterprises as well, connecting to an interesting network of colleagues, ongoing exchange of information and informal contact within and outside of the company is often key for the success of their own work. In New Work, the network principle is the organisational form of the future. This not only affects the work itself, but also the design of workspace, office premises, or entire areas of the city. All these factors create major challenges for urban policy, as well as for private real estate developers and architects, in finding solutions to address all of these trends in order to develop corresponding offerings. This is highlighted by some practical examples: While in the past, the lobbies of most office buildings tended to be cool in terms of design, and fitted with glass, steel, concrete and marble to create an elegant, modern impression, today new approaches to architecture and interiors must be taken. In the past, a serious-looking receptionist hid behind a high reception desk and announced the arrival of visitors to the respective company. The aim – similarly to audience chambers in earlier centuries – was to generate a certain respect upon entry. In this type of office building, the tenants virtually never get to know tenants from other companies in the building – they work on their own floors and go for lunch with their colleagues in the canteen or nearby. The communal areas were quiet and elegant, and the companies closed themselves off in their offices. Today, more and more workspace lessors are responding to the evolving landscape with new concepts. With flexible leases, above all in terms of the amount of space leased, aimed at supporting tenants in meeting their ever-faster changing challenges. Some are also using cross-industry events and activities at their locations to try to generate synergies and networking between various companies and across industries, so that tenants come to identify more strongly with their place of work. Smaller events are usually a first attempt towards establishing a networking process within a location. Other providers are bringing even more advanced concepts to the market to meet the needs of New Work. Hip co-working spaces, ranging from a single desk to large offices, in which it’s possible to work flexibly and be part of a young, vibrant community, are flourishing in all major cities. In those places where above all the creative community feels at home and the demand for New Work is particularly strong, more and more of these hot-spots are emerging. All of these challenges are having an effect worldwide on city authorities, which must prepare the ground for successful business location. With tax advantages, smart-city concepts, invigoration of alternative scene locations and creative hubs, and with well-planned public spaces. If this is successful, young people with high potential will recognise that their needs are being addressed and base themselves in those cities which best deal with these issues. 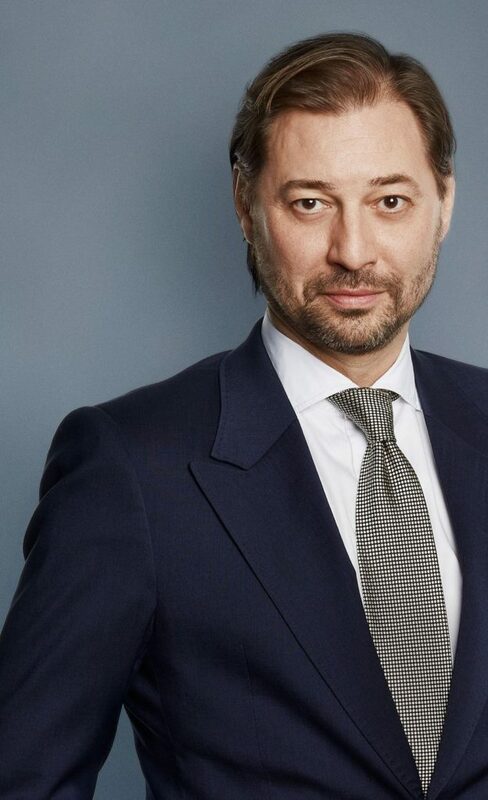 Bernhard Klein is Head of Brands at IMMOFINANZ, the listed real estate group. In this role, he has been responsible for the company’s retail and office brands, as well as their international marketing across eight countries, for a number of years. He is also an associate of a management consultancy company based in Hamburg and a certified supervisory board member. Previously, he was responsible for the City of Vienna tourism marketing across 21 countries. Through his work, today the city still represents a marketing benchmark in the international tourism sector, for which Bernhard Klein has received numerous prizes and awards in recent years. He holds qualifications from colleges in Vienna and the University of St Gallen. Connect with Bernhard Klein on LinkedIn. You have something important to say and would like to share your thoughts with our readers? Get in touch! Enjoyed this guest post by Bernhard Klein of IMMOFINANZ on changing work environments, Generation Y, and how those affect the competitiveness of cities as attractive places to work and live? Spread the word!